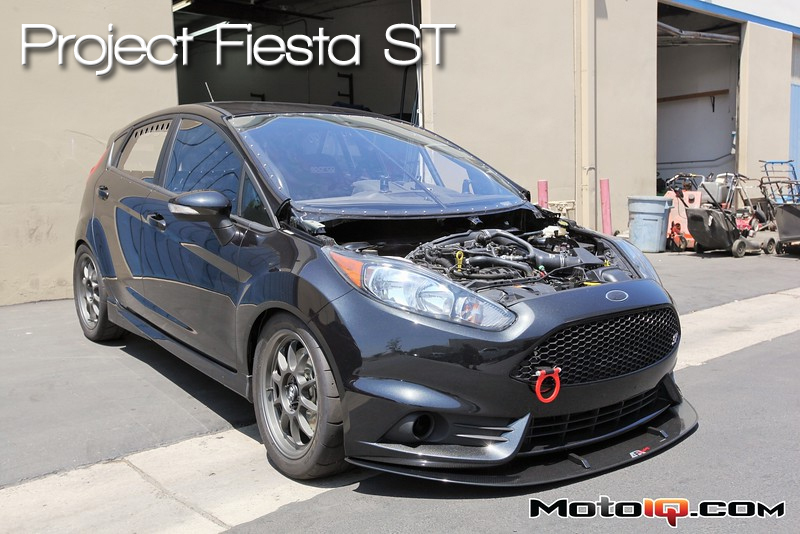 It takes balls to tear into a brand new car and turn it into a race car but that’s exactly what the owner of our Project Fiesta did after just a short few thousand miles of street driving. First. it was the track day bug and now the car will be campaigned in our MPTCC race series in the Tuner Under class! Our Ford Fiesta ST’s conversion to a full time track car at SPD Motorsports is moving along and we are almost ready to address the motor with a bunch of parts from mountune. The craftsmanship and attention to detail of SPD’s Scott Dodgion is superb. What is also cool is Scott’s ability to do great work within a reasonable budget. We are geting excited as our car is getting closer and closer toward it’ track debut. It will probably be one of the first racing Fiesta ST’s in the country. Check it out! 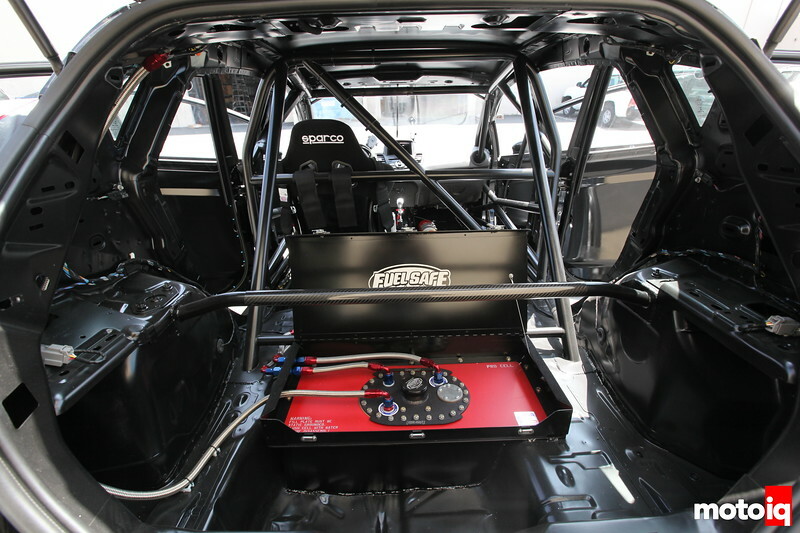 If you have been following our build, you have seen Scott build the cage and fabricate some of the interior tin work. Now the paint, wiring and plumbing have been completed. When checking out the pictures, you can look at the clean and simple lines of everything which is trademark Scott stuff. It might not be a $7,000 mil spec harness, but it is protected and laid out like one. I have come to admire Scott’s work after being his teammate for 6 years with Falken Motorsports. 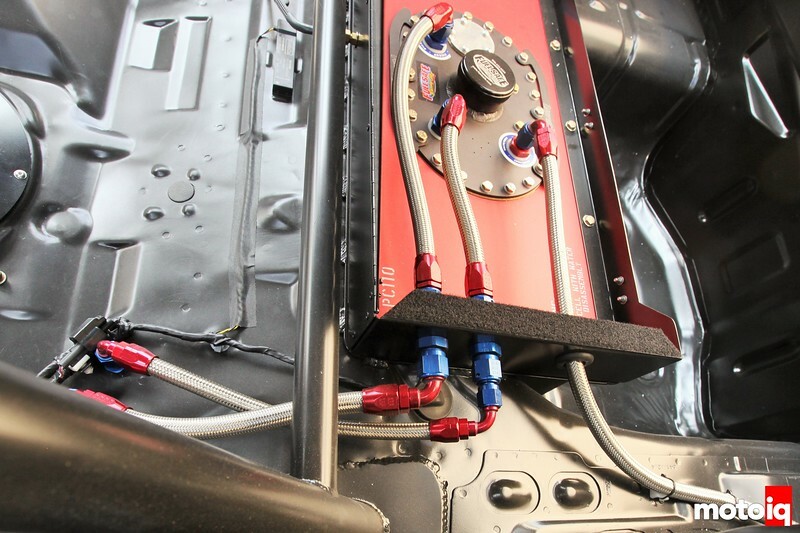 In the last edition of Project Fiesta ST we showed the installation of our Fuel Safe fuel cell. Now Scott has finished the installation and plumbing. Earl’s AN plumbing is used here, no cheap stuff. You can see how the proper bulkhead fittings are used for the containment box and as the lines pass through the floor to the pump and regulator. 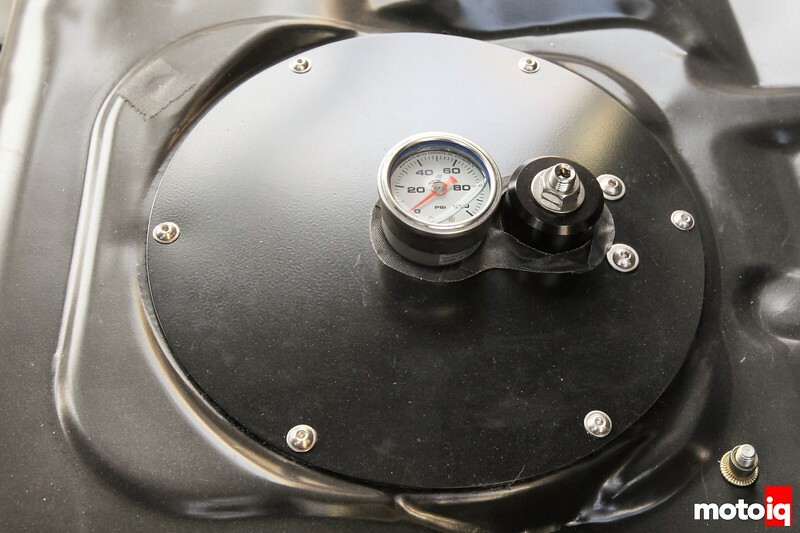 This is the top adjustment port for the lightweight Aeromotive X1 regulator. A nice touch as the fuel pressure gauge and the adjustment screw are both easily accessible from the inside of the car. This sort of attention to detail makes working on stuff a lot simpler. 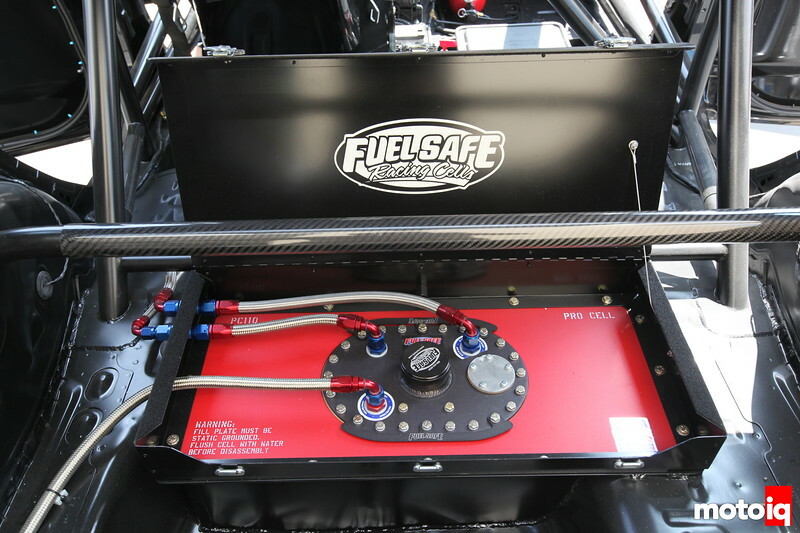 Having your fabricator have had two hats as a crew chief gets you good common sense thinking like this. There is still lots of work to get the weight down to 2300 lbs the fist fighting weight, I think once the weight goes down he will be able to come out on top of the Hondas with his ecoboost 1.6 litre engine and six speed 3.82 rear sets should be right in the ball park of the Hondas. If he could loose another 400 lb’s then he could be more than competitive. With a car that handles flat around corners. A limited slip differential up front would be icing on the cake.